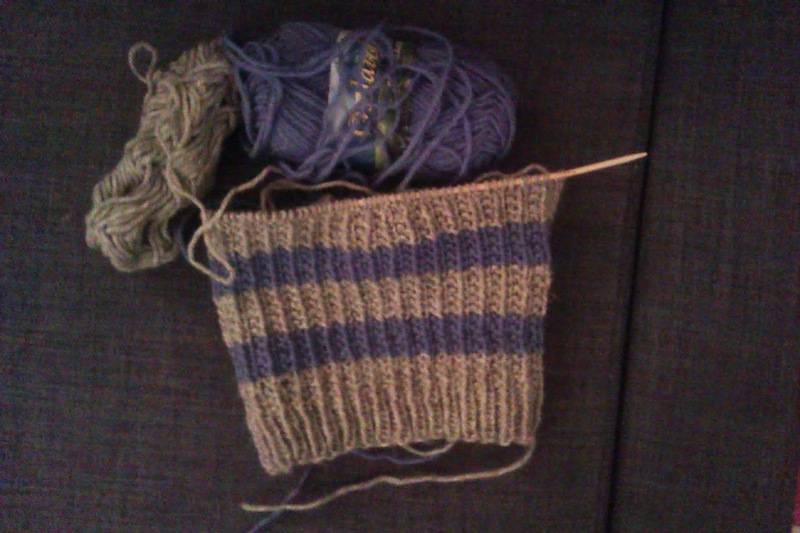 And one day boyfriend will have knitted sweaters and vests and I will be able to knit my own socks without having to tell anyone how many pairs I go through in one season, which is ridiculous btw. 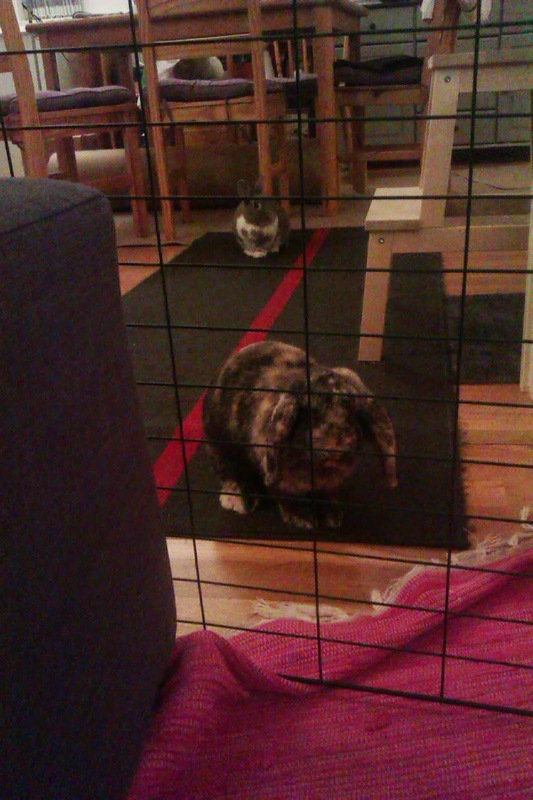 Bunnies are more often than not begging to come to the living room to play and I keep letting them. Valmin gets a treat (pellet, hush, don't tell them it is just normal food that they'd get anyway) everytime he hops onto the sofa while we are in it. And Mimle gets a treat everytime Valmin gets one or else she will steal his. He is still a bit wary of people and faces, so I guess we just have to invite more people over to help him get over his fears. I couldn't resist that face and let him into the living room, but now that I am sitting in the kitchen typing away I have Mimle as usual under my chair with Valmin close by. So I guess what he really wanted was attention, or to see if I would open the gate and let them in if he begged. And begging is better than gnawing and thrashing at the gate so I guess that is progress too. And I am herby done with colds for this season, I refuse to get sick again. So now you know.